WHITE PLAINS, N.Y. — Former Yankees relief pitcher, Mariano Rivera, will appear for Steiner Sports on Saturday, Dec. 17, 2014 to sign autographs and memorabilia. The signing will be from 11:00 am to 1:00 pm at the National Westchester County Center located at the 198 Central Avenue in White Plains, NY. For more info, click here. 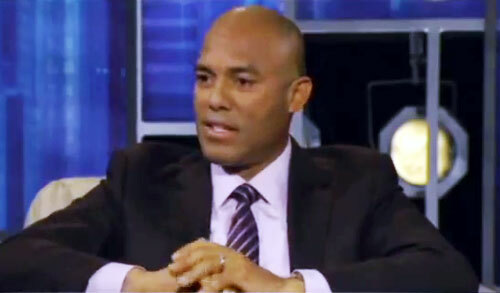 Mariano Rivera, aka “Mo”, is a former relief pitcher who played for the New York Yankees for almost two decades. He is a devout Christian and credits God for his success. If you would like to book athletes like Mariano Rivera for an appearance, contact Mariano Rivera’s booking agent for fees at Sports Speakers 360 or call at 1.855.303.5450.